Henderson, NV - August 17, 2016 - Aldec, Inc., a pioneer in mixed-HDL language simulation and hardware-assisted verification solutions for FPGAs and ASICs, today announced the release of TySOM(tm) Embedded Development Kit (EDK). The TySOM EDK targets embedded designers who require a platform with higher-performance RTL simulation and debugging for developing leading-edge embedded applications for IoT, Computer Vision, Automotive, Robotics and Factory Automation. 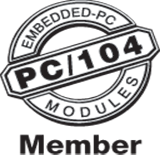 For embedded computing applications this next generation I/O module offers a PCIe interface format suitable for VPX and ruggedized PCIe-based computers. EnSilica appoints Anglia Components as business development partner for eSi-Modules. Anglia will target the eSi-Modules at key vertical industry sectors including utilities, smart cities, oil and gas, access control, medical devices, IoT, industrial internet and telematics. Avnet, Inc. (NYSE: AVT), a leading global technology distributor, today introduced the PicoZed(tm) SDR Z7035/AD9361, a rugged, low-power, small footprint system-on-module (SOM) that integrates critical RF signal path and high-speed programmable logic, enabling designers to dramatically reduce cycle times for development of the RF-to-baseband signal processing core for wireless communications systems. "EMC2-7A is a stackable FPGA solution compatible with PCIe/104 OneBank(tm) PCI-Express interface and VITA57.1 FMC(tm), controlled by an Artix-7(r) FPGA"
MYIR introduced a low-cost System-on-Module MYC-C7Z010/20 and development kit MYD-C7Z010/20 based on Xilinx Zynq-7010 (XC7Z010-1CLG400C) or Zynq-7020 (XC7Z020-1CLG400C) SoC device which is among the Xilinx Zynq-7000 ARM Cortex-A9 processor with Xilinx 7-series Field Programmable Gate Array (FPGA) logic, capable of running at up to 866MHz.